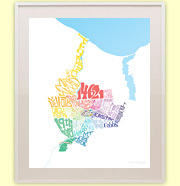 Jason and Stefanie Schwingle run The Rochesteriat blog and they love living in downtown Rochester. This couple took the day off from work last year and used ROC Transit Day to enjoy the city and all of the great deals. “It’s been freeing for us to travel without a car today,” said Stefanie. Taylor Ann works at Cheesy Eddie’s (#5 South Ave bus line). Her shop gives away free mini cheesecakes on ROC Transit Day to anyone who shows a bus pass. Taylor says that by walking, biking and taking public transit, we actually begin to “take control of our city.” Because the more people we have walking our streets, the safer those streets become. Scott Page, owner of Full Moon Vista bike shop (#5 South Ave bus line) says that biking and public transit go hand in hand. Scott says he’s noticed a definite uptick in the amount of Rochesterians choosing alternate forms of transportation. 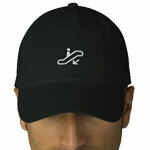 He sees a lot of his customers ride the bus on their way to work in the morning, and ride their bike home at night. A bike is also a great way to get to and from your bus stop if it’s too far to walk. 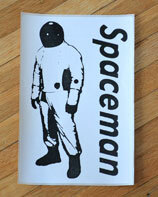 His shop is also offering 15% off any one bike accessory when you show a bus pass on ROC Transit Day. It’s more than just a bus ride! On ROC Transit Day (Thursday, June 19) the most important thing is to leave your car at home and give public transit a try. If nothing more than to you support for public transit and a healthier community. Or even just to say that you’ve tried riding the bus – once. But ROC Transit Day also promises to be much more than a bus ride. You’ll get to bask in the Rochester funshine. Did I just say funshine? Hell yes I did. 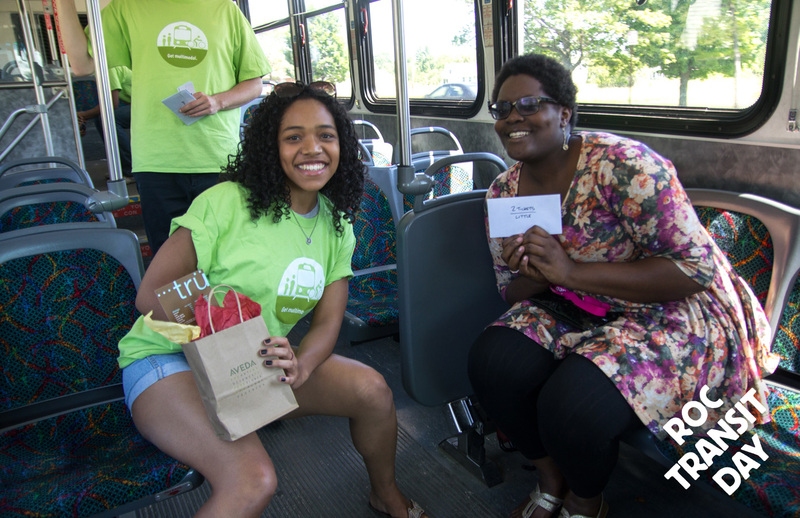 Volunteers from Reconnect Rochester will be handing out prizes to random bus riders all day long. 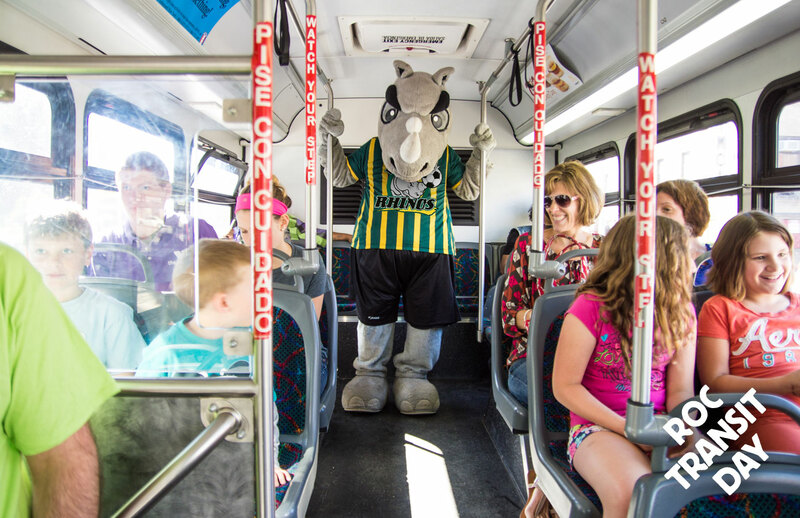 And, if you’ve got kids, you can ride the bus with Rochester’s favorite Rhino… Rex Rhino invites you to board the bus with him at 8:30am, June 19, for a ride from the Monroe Avenue YMCA to Sahlen’s Stadium. You and your family will then be taken on a tour of the stadium! 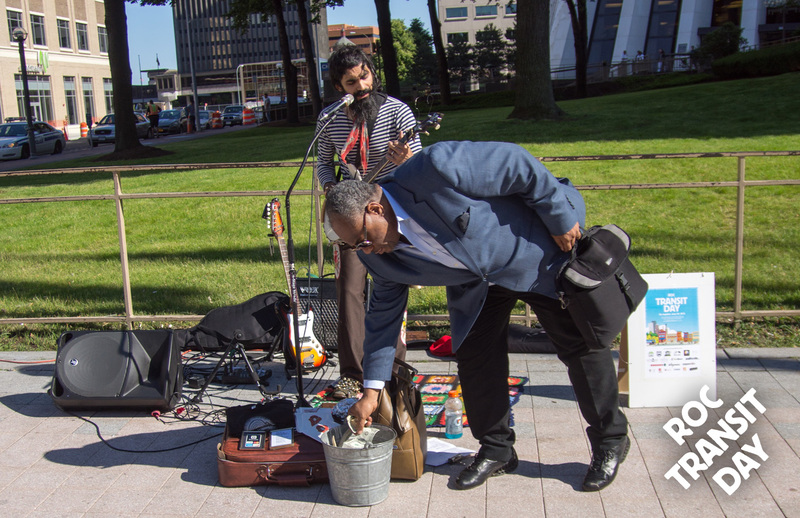 FIVE HUNDRED DOLLARS (U.S.) will be hiding somewhere in Rochester. And the first person (or team of people) to find it will take all. There’s just one catch… no cars allowed. To claim this jackpot you’ll need to use the bus system, walk or bike. To cap off the day, a HUGE Swing Dance will take place on the steps of the Rundel library building downtown, 4:30-6:30p. Come witness 40+ energetic Groove Juice Swing dancers as they twist, twirl, flip, and triple-step to the sounds of Smugtown Stompers . The Friends & Foundation of Rochester Public Library will host a used book sale and games for the kids. And bring your appetite too – Le Petit Poutine and Stingray Sushi food trucks will be there! 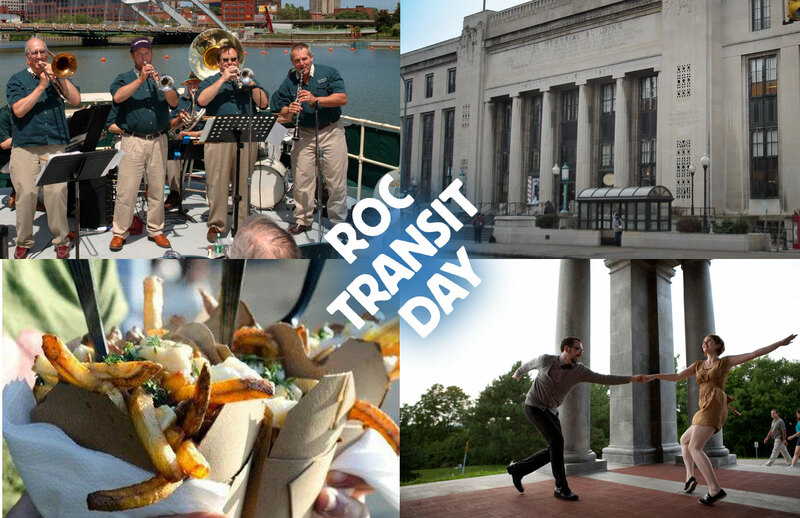 ROC Transit Day is easy! Just leave your car at home on Thursday, June 19th. You can use your own RTS fare card or request free all-day passes using this form . 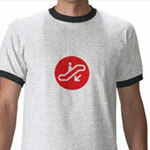 Get your company involved! Ask your employer or community organization to request a supply of FREE fare cards to distribute to fellow employees or members. This entry was posted on Monday, May 5th, 2014 at 10:22 pm	and is filed under Events, Rochester News, Transit + Infrastructure. You can follow any responses to this entry through the RSS 2.0 feed. You can skip to the end and leave a response. Pinging is currently not allowed.